The Abrams Dinner Party is keeping me well stocked with new cookbooks - they're sending me their complete library of new cookbooks for this season. This time, it's Paladares by Anya von Bremzen. 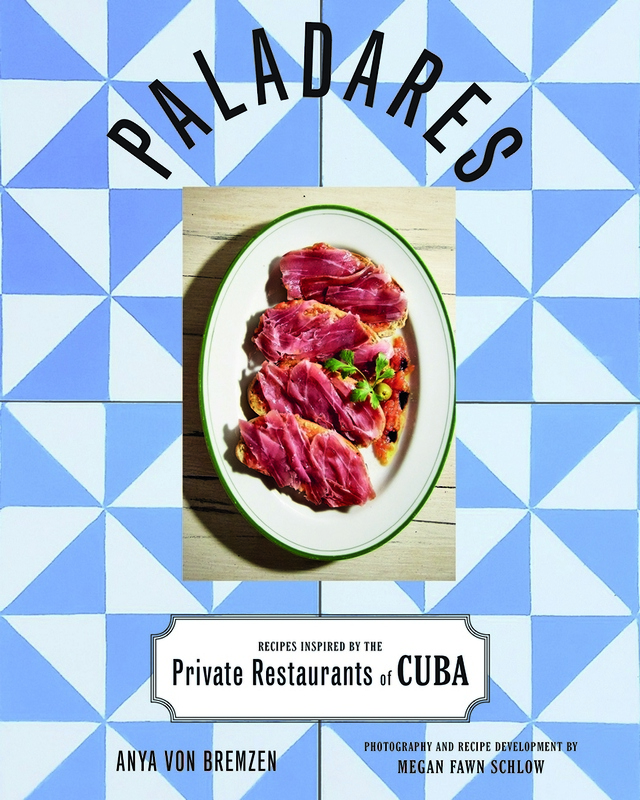 This is a book inspired by private restaurants in Cuba, and it's one that I was looking forward to since I saw the list of books we'd be getting. 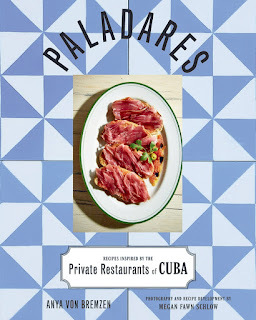 I love Cuban food and there are a few recipes that I've made a number of time. I figured this book would give me a wider repertoire. I sure as heck wasn't disappointed. The really good news was that although these are inspired by restaurants, the ingredients are very accessible. Plantains are easy to find at my local supermarket and yuca is available at the local Mexican market. Of all of the recipes in this book, I think the least available ingredient is rabbit, but I'd just substitute chicken to make Chicken with Sour Orange and Rosemary Sauce. One of the things I love about Cuban food is the use of rice. I'm a rice fiend. So I was fascinated that there was a recipe for Black Beans and Rice followed by a recipe for Red Beans and Rice. The recipes are similar (I mean, we're talking beans and rice), but they're not identical. But my love for rice is just about equal to my love for polenta, so I was particularly interested in the Cuban Polenta (Tamal en Cazuela), which looks like the perfect comfort food. Like a tamale in a bowl. Stuffed Chicken with Apricots and Poached Pears would be great for company. But if I'm making chicken, I think I'd go for the Adobo Chicken. There are a whole lot of recipes here that I've bookmarked to make later. Perhaps starting with the rice pudding. Oh yeah!